Malibu is known for its movie star residents and luxurious homes, however the northern section of the city also features several remote hiking trails surrounded by miles of wilderness. It’s a peaceful uninhabited section of California’s coast that is a perfect destination to enjoy a Saturday or Sunday afternoon. 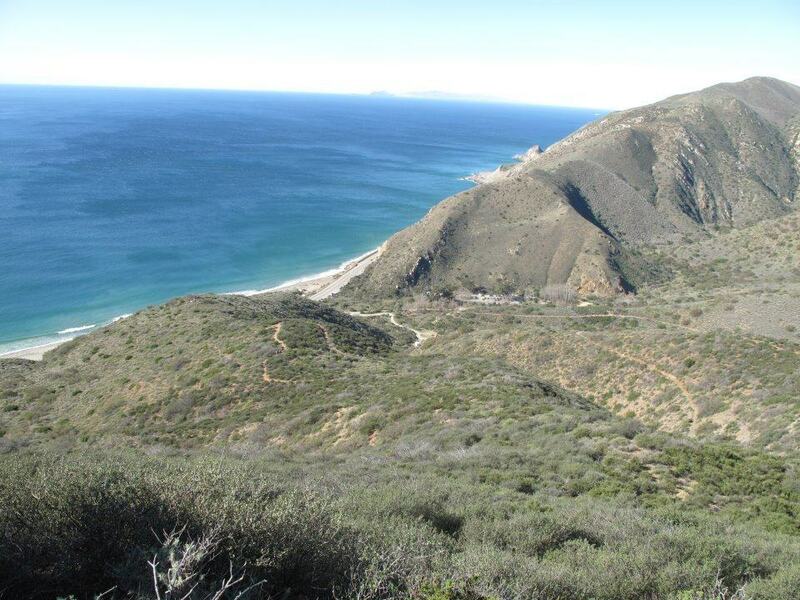 Malibu’s Point Mugu State Park is located in the Santa Monica Mountains along Highway 1, just 15 miles south of Oxnard, CA or 15 miles north of Santa Monica, CA. There are more than 70 miles of hiking trails in this California State Park. Nearby beaches also feature swimming, body surfing, surfing and fishing. 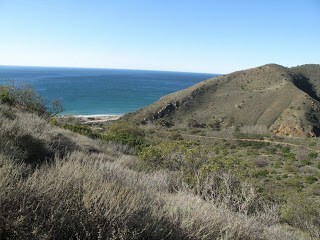 The Point Mugu Hiking Trail offers a challenging course and great views for any California hiker. Once you climb near the top of the vista, the coastline views are absolutely gorgeous. Sections of the trail feel as if you are hiking in Hawaii, due to the steep hill inclines and vast panoramic views.After the hike, a great lunch spot is Neptune’s Net, a local bikers’ spot along PCH that offers delicious seafood, beautiful views, and fresh ocean breezes. One section of the restaurant serves steamed seafood and the other section serves fried seafood. It’s worth spending a few moments looking around before ordering. Unlike the Griffith Observatory Hike, another popular Los Angeles hiking destination, this Malibu hiking trail features unique scenery and uninhabited sections. 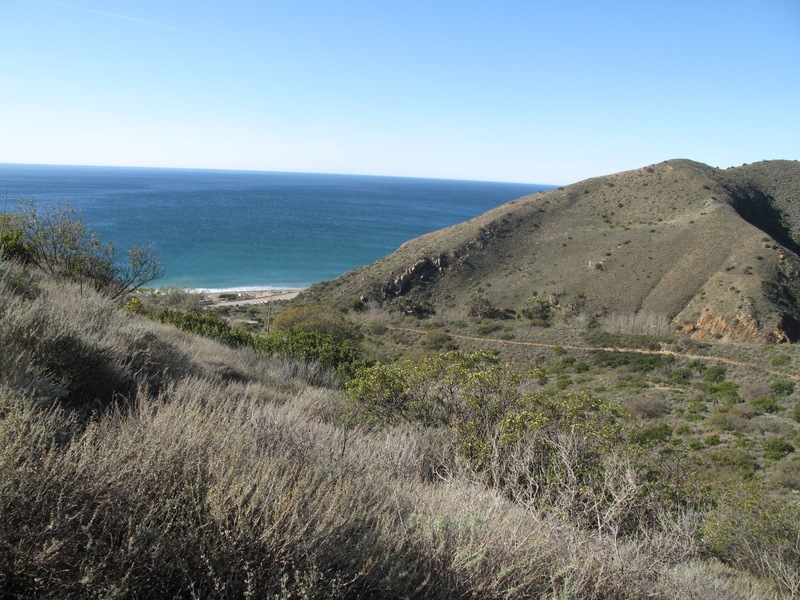 From panoramic views of the Pacific Ocean to a challenging hiking terrain, the Point Mugu Hiking trail has something for everyone. Keep left to take US-101 S toward CA-1/Los Angeles. Turn left onto Pacific Coast Hwy/CA-1 E.
Ends at 9000 E. Pacific Coast Hwy, Malibu, CA 90265. Your destination is 0.6 miles past Topanga Canyon Blvd. If you reach Coastline Dr you’ve gone a little too far. Ends at 9000 E. Pacific Coast Hwy, Malibu, CA 90265. Your destination is just past Coastline Dr. If you reach Topanga Canyon Blvd you’ve gone about 0.6 miles too far. 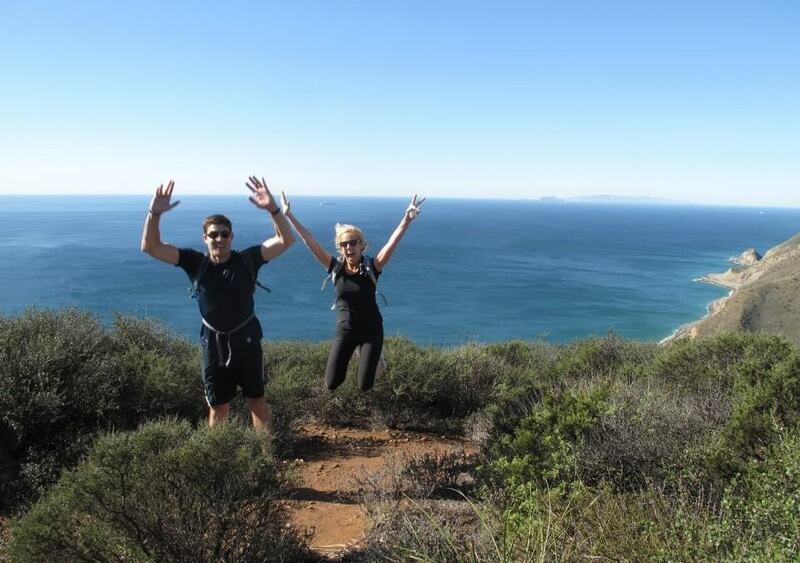 This hiking trail is located at 9000 W. Pacific Coast Highway, Malibu, CA 90265. Coming from the south, it’s just past Coastline Drive. Coming from the north, it’s a half-mile past Topanga Canyon Blvd. You can park along the highway for free. Year-round: This hike is perfect year-around. Winter months can offer both cool temperatures and very clear skies. However, be cautious of storms, so check the weather forecast beforehand. During the summer months, we recommend doing this hike in the early morning to avoid high temperatures. During the spring, the trail is most lush. No, pets are not allowed on these trails. However, pets are welcome on-leash at the beach of Point Mugu State Park.